Karen says this Slow Cooker Pepperoni Pizza Chili is the perfect chili for a cold winter evening. If your family likes pepperoni pizza, they’re probably going to like pepperoni pizza chili as well! 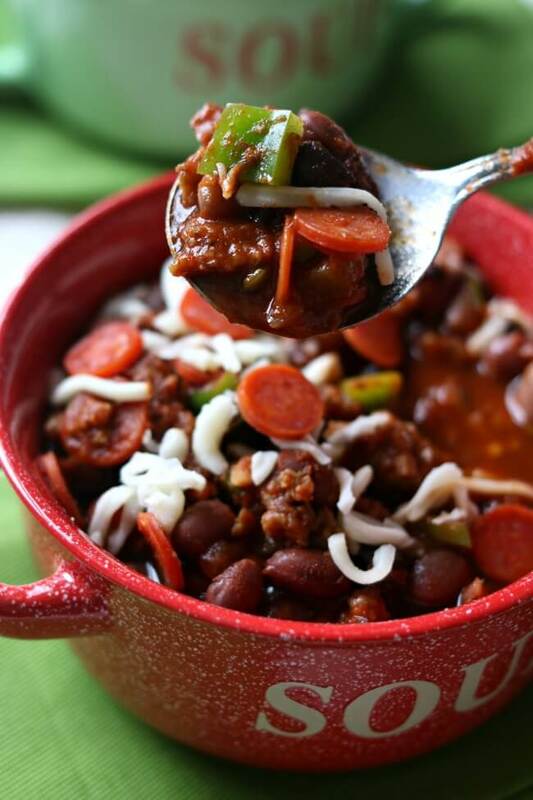 Click here to see The BEST Slow Cooker Chili Recipes! There really isn’t much that’s more comforting than a bowl of warm chili on a cold night, and this Slow Cooker Pepperoni Pizza Chili from 365 Days of Slow Cooking fits the bill. What do you get when you combine pizza sauce and picante sauce in chili? A delicious pizza chili that’s loaded with mini pepperoni, Italian sausage, and green peppers to give you all your favorite pizza flavors. Then, when you’re serving the chili, top it with a little mozzarella cheese. Sounds fabulous doesn’t it? This just might become a family favorite. It’s easy to assemble in the morning and cook all day in the slow cooker. Then, when it’s time for dinner there is no stress because it’s ready whenever you’re ready to eat. And this recipe definitely deserves to be added to our collection of The BEST Slow Cooker Chili Recipes that have been featured on this site, don’t you agree? Check that out if you want more good ideas for chili. Or check out The BEST Instant Pot Chili Recipes if you prefer that method. 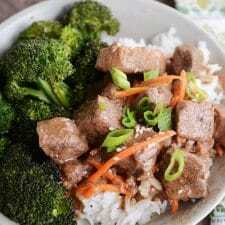 Karen recommends a 6-Quart Slow Cooker for this recipe.